The general public perception is that chiropractic care is for accidents, pain and skeletal injuries; however, adjustments are about optimizing nerve flow to the vital body organs, including immune organs, digestive organs, and respiratory organs (to name a few) and children are no exception. To the left, my daughter Amanda is pictured at 4 months old receiving a gentle cranial/upper cervical adjustment. She is checked weekly for nerve interference, and to this day rarely suffers from colds, flu, or ear infections. I believe that most parents normalize colds, flus, ear infections and other illnesses as “back to school” or “back to daycare” expected events. I believe that if babies, infants, toddlers and all school age kids were checked regularly for subluxations, there would be fewer school absences, fewer pediatrician visits and less parental missed work. Changing consciousness from chiropractic as solely a musculoskeletal, car accident, headache alleviating method, to a family wellness based health care system will not be overnight. We must be patient and diligent in our patient and public education campaigns. Let us network with other like-minded health care practitioners to elevate awareness about family chiropractic care for optimizing immune function! 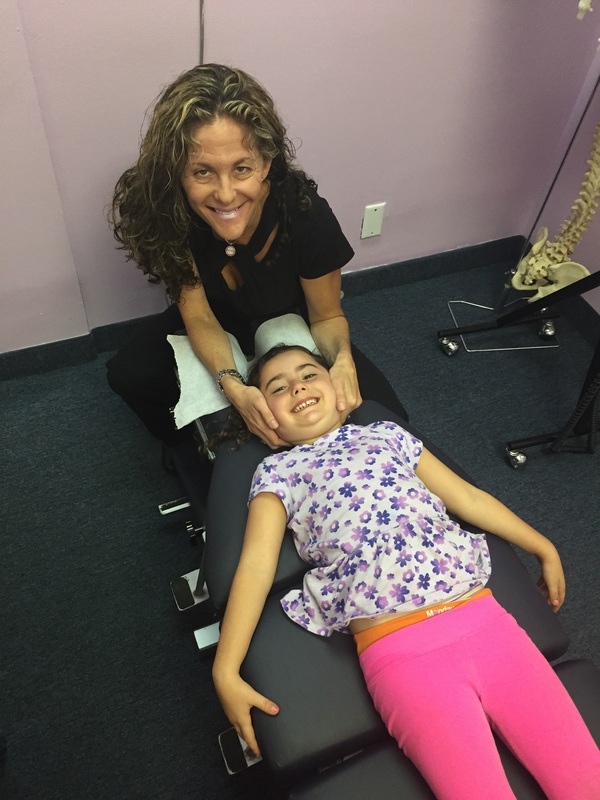 With back to school time upon us, I feel it is vital for children to be checked for nerve interference/subluxations, especially to upper cervical and sacral area. Bring out your innate potential. Allow your children and your entire family to let go of the stress throughout your body with regular chiropractic adjustments. Chiropractic today, for a better, healthier world tomorrow. Dr Beth Cooper is a 1993 Temple University graduate with a degree in Journalism. After her undergraduate degree, Dr Beth began to run avidly and tore her left medial meniscus. After beginning regular chiropractic adjustments, her knee healed and she realized the wonderful, natural healing benefits of chiropractic care. She attended Life University and graduated in 1998. As a mom and a chiropractor, she dedicates her practice to gentle, corrective pediatric and pregnancy chiropractic care. Wellness chiropractic care is vital to the full expression of life and Dr Beth educates her patients on the importance of spinal care from birth to geriatric life stages!! !